FALLS CHURCH, Va.â Oct. 22, 2013 â The Northrop Grumman Foundation provided funds to 21 nonprofits across the United States this summer enabling them to hire 87 high school summer interns as part of the Summer Jobs+ initiative led by the White House. 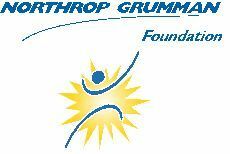 This is the second year that the Northrop Grumman Foundation has provided funding for the program. The foundation provided grants to the nonprofits, allowing them to hire the students and provide pathways to employment for low-income youth. The nonprofits advertised the positions and selected the students who could work up to 40 hours a week for eight weeks. Many of the nonprofits receiving grants were diversity-related, working in science, technology, engineering and math (STEM) education, including Great Minds in STEM, Los Angeles, Calif., which provides a gateway for Hispanics in STEM. "I would like to thank Northrop Grumman for providing the funding so we could hire five bright high school students to work here at Great Minds in STEM for the summer," said Ray Mellado, chief executive officer for Great Minds in STEM. "This personal work experience should help them understand the importance of their own education in pursuing their STEM careers." Some of the other diversity organizations who received funding for summer high school interns from the Northrop Grumman Foundation included the American Association of People with Disabilities, Washington, D.C.; American Indian Science and Engineering Society, Albuquerque, N.M.; National Math and Science Initiative, Dallas, Texas; National Society of Black Engineers, Alexandria, Va.; Society of Hispanic Professional Engineers in City of Industry, Calif., and the Society of Women Engineers, Chicago, Ill.
"This is a wonderful opportunity for young people to engage with nonprofits who advance the goals of STEM education and serve local community needs," said Sandra Evers-Manly, president of the Northrop Grumman Foundation and vice president of Global Corporate Responsibility, who started her career at Northrop Grumman as a college intern. "We are pleased we can partner with these nonprofits to provide internships to high school students."